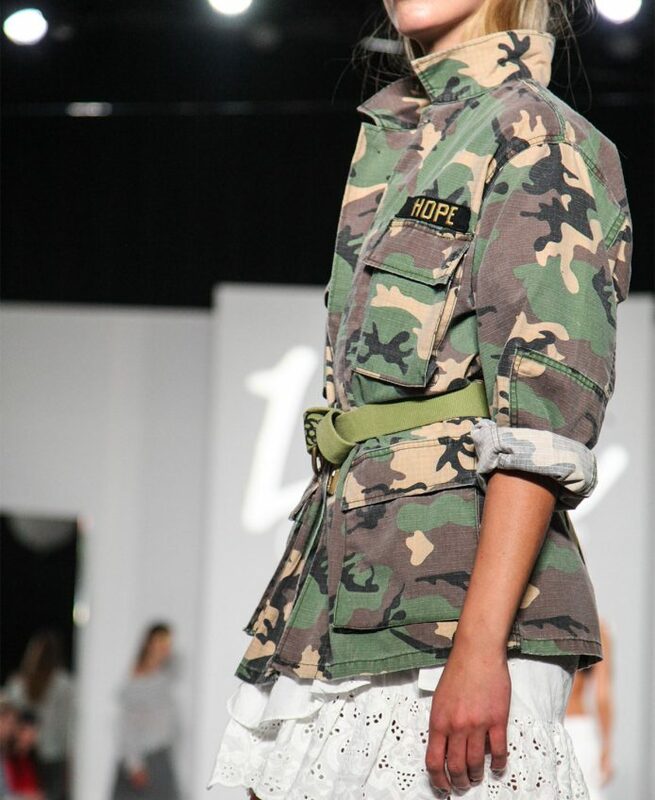 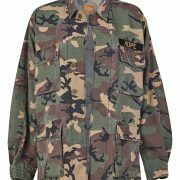 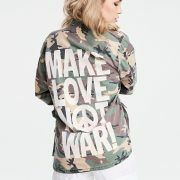 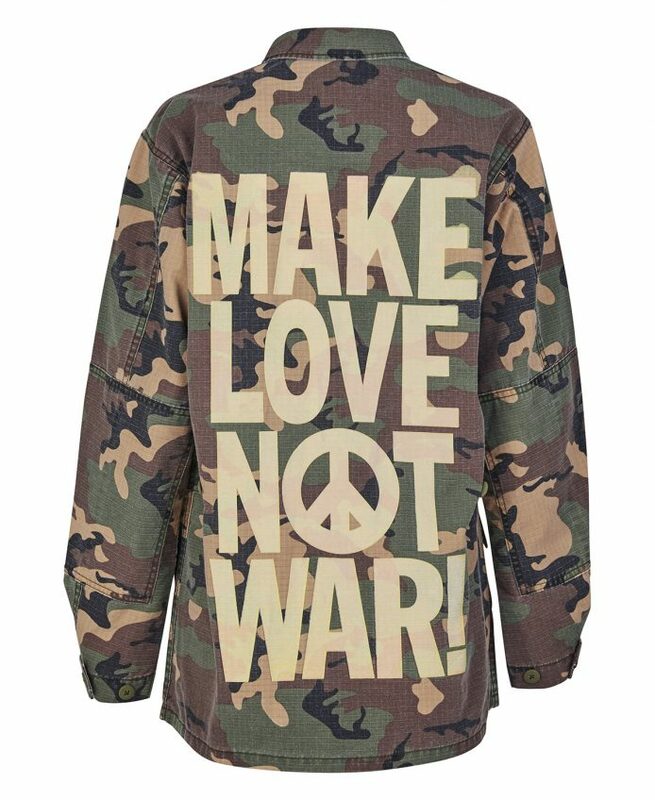 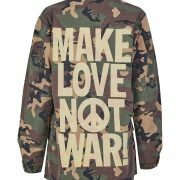 Oversized army jacket with text "MAKE LOVE NOT WAR". 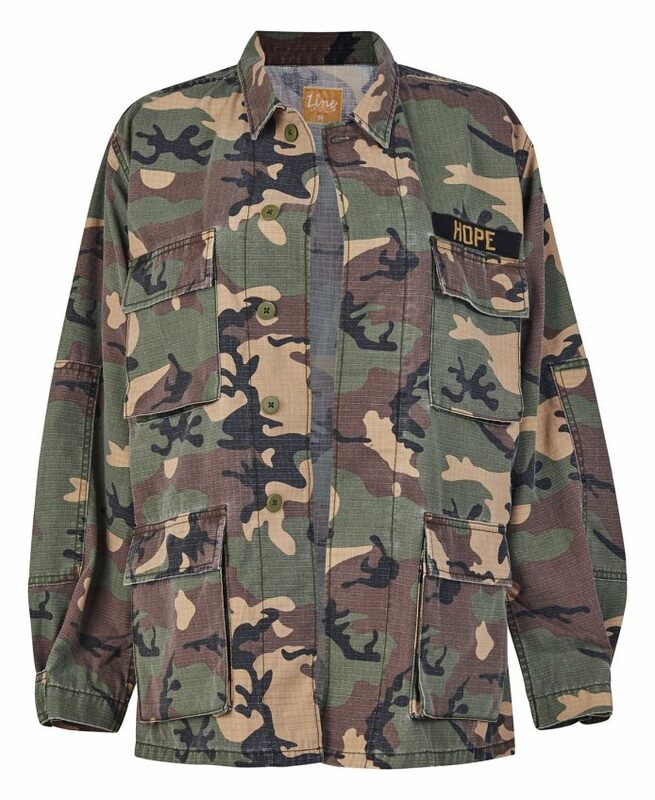 Four front pockets. 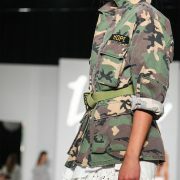 Hopeembroidery above chest pocket.